Most children will have at some time a medical condition that may affect their participation in school activities. For many this will be short-term; perhaps finishing a course of medication. Other children have medical conditions that, if not properly managed, could limit their access to education. Such children are regarded as having medical needs. Most children with medical needs are able to attend school regularly and with some support from school, can take part in most normal school activities. However, staff may need to take extra care in supervising some activities to make sure that these children, and others, are not put at risk. There will be some children whose access to the curriculum is impaired not so much by the need to take medication but that their condition brings with it a level of dependency on adult support to meet their personal needs. This policy seeks to include these children and their needs. Parents or guardians have prime responsibility for their child’s health and should provide school with the information about their child’s medical condition. We encourage parents/carers to provide school with sufficient information about their child’s medical condition and any treatment or special care needed at school, on admission, and keep us informed of any new or changing needs. If there are any special religious and /or cultural beliefs which may affect medical care that the child needs, particularly in the event of an emergency, we rely on parents/carers to inform us and confirm this in writing. Such information will be kept on the child’s personal record. This policy provides information on our procedures for the storage and administration of medicines to children and the procedures for children who are able to self- administer. * There is no legal duty which requires school staff to administer medication; this is a voluntary role however school should take all reasonable steps to ensure a child can attend school without interruption to their education. Staff who provide support for children with medical needs, or who volunteer to administer medication, should receive support from the head and parent, access to information and training, and reassurance about their legal liability. Staff should, whenever they feel it necessary, consult with their respective professional associations. Children and young people with medical conditions are entitled to a full education and have the same rights of admission to school as other children. Pupils with a medical condition will not be denied admission or be prevented from taking up a place in school because arrangements for their medical condition have not been made. Students at Stoke Primary School with medical conditions should be properly supported so that they can play an active part in school, remaining healthy and able to achieve their academic potential, with full access to education, including school trips and physical education. Section 100 of the Children and Families Act 2014 places a duty on governing bodies of maintained schools, to make arrangements for supporting pupils at their school with medical conditions. A medical condition that is long term with acute episodes, requires ongoing support, and involves the need for medication and/or care whilst at school. The condition will need monitoring and could require immediate intervention in emergency circumstances. Some children with medical conditions may be disabled. Where this is the case the Governing Board must comply with their duties under the Equality Act 2010. Some may also have special educational needs (SEN) and may have a statement, or Education, Health and Care Plan (EHCP) which brings together health and social care needs, as well as their special educational provision. For children with SEND, this guidance should be read in conjunction with the SEND code of practice and the Local Offer and the school’s SEND information which is available on the school website. All children attending the school with a medical condition (meeting the above definition) must have an Individual Healthcare Plan (IHP) (appendix 1(i) Medical Needs or 1(ii) Severe Allergy) which should be devised in conjunction with school, parents and where relevant, healthcare professionals. It is important that responsibilities for children’s safety is clearly defined and that each person involved with children’s medical needs is aware of what is expected of them. Close co-operation between school, parents, health professionals and other agencies will help provide a suitably supportive environment for children with medical needs. The LA is responsible under the Health and Safety at Work Act 1974, for making sure that a school has a Health and Safety Policy. This should include procedures for supporting children with medical needs, and managing medication. In the event of legal action over an allegation of negligence, the employer rather than the employee is likely to be held responsible. It is the employer’s responsibility to ensure that correct procedures are followed. Where children would not receive a suitable education in a mainstream school because of their health needs, the Local Authority has a duty to make other arrangements. Please refer to the Local Offer for more details. Statutory guidance for local authorities sets out that they should be ready to make arrangements under this duty when it is clear that a child will be away from school for 15 days or more because of health needs. The Governing Board must ensure that arrangements are in place in school to support children with medical conditions. In doing so, they should ensure that such children can access and enjoy the same opportunities at school as any other child. The school, Local Authority, health professionals and other support services should work together to ensure that children with medical conditions receive a full education. The Governing Board should ensure that the school’s leaders liaise with health and social care professionals, children and parents to ensure that the needs of children with medical conditions are effectively supported. The needs of each individual child must be considered and how their medical condition impacts on their school life. The Governing Board should ensure that the arrangements they put in place are sufficient to meet their statutory responsibilities and should ensure that policies, plans, procedures and systems are properly and effectively implemented. This aligns with their wider safeguarding duties. Policies should be reviewed regularly and be readily accessible to parents and school staff. The Headteacher implements this policy effectively. The individual healthcare plans are devised, implemented and monitored by the Headteacher/Deputy Headteacher/SENCO, working in partnership with the parents, child and relevant healthcare professionals. Written records are kept of all medicines administered to children (appendix 4 (ii). All Individual Healthcare Plans (IHPs) actively support students with medical conditions to participate in school trips and visits, or in sporting activities, and not prevent them from doing so. That staff are properly trained to provide the support that students need. That the school’s policy sets out what should happen in an emergency situation. That the appropriate level of insurance is in place and appropriately reflects the level of risk, with risk assessment being carried, when appropriate. That the school provides parents with information about the Local Offer and the School Offer including information displayed on the school website. That parents provide the school with sufficient and up-to-date information about their child’s medical needs. This will be prompted with an annual data check. Should ensure that good lines of communications exist between parents and all relevant education and healthcare professionals. Should ensure that teachers who volunteer should receive proper training and support. Is responsible for the day to day decisions on administering medication. Must share information with relevant staff to ensure the best care for the child after seeking parental agreement to do so. Should ensure that wherever possible the parent is not inconvenienced from work in order to support the pupil or administer medication at school. Parents, as defined in the Education Act 1944, are a child’s main carers. They are responsible for making sure that their child is well enough to attend school. Provide the Headteacher with sufficient information about their child’s medical condition and treatment to allow the appropriate arrangements to be put in place in school. Reach agreement jointly with the school on the school’s role in helping with their child’s medical needs. Share information to ensure the best care for the child. Ensure that children with medical conditions are identified as they transfer to the school and through the ongoing annual data check process. Have arrangements in place for school trips or other school activities outside of the normal school timetable that will ensure the child can participate, e.g. risk assessments. Designate individuals to be entrusted with information about a child’s condition; where confidentiality issues are raised by the parent/child. Have an identified key worker trained to specifically meet the needs of students with a statement of SEN / Education Health and Care Plan linked to a medical condition. Always have a minimum of two members of staff available trained in first aid response with knowledge of the students with medical conditions and access to their IHCPs. Make all staff working directly with children aware of the children in the school with medical conditions, through regular meetings and displays in staffroom. Provide sufficient training for staff to meet the needs of children at the school with medical conditions. Ensure that prescription medicines and health care procedures will only be given by staff following appropriate training from medical professionals. Staff should use their discretion and judge each case on its merits with reference to the child’s Individual Healthcare Plan. Staff should make inhalers and medication easily accessible to children and administer their medication when and where necessary in line with the prescribed dosage. Staff should give individual, personalised care to children even those with the same condition. Staff should take the views of the children and their parents into account; act on medical evidence and opinion but challenge it when appropriate. Staff should encourage children with medical conditions to remain in school for normal school activities, including lunch, unless this is specified in their Individual Healthcare Plans. Staff should supervise children with medical conditions if they become ill and contact relevant care authorities. Staff should not penalise children for their attendance record if their absences are related to their medical conditions e.g. hospital appointments. Staff should encourage children to drink, eat and take toilet or other breaks whenever they need to in order to manage their medical condition effectively. Staff will not force children to take medicines or have necessary procedures against their will. They will aim to follow the procedure agreed in the Individual Healthcare Plan and contact parents when alternative options may need to be considered. Staff should support parents in meeting the medical needs of their child in school by accepting responsibility for the child’s medical needs at school and encourage children with medical conditions to participate, in all aspects of school life, including school trips. Staff should log in school records any concerns they have on a child’s health and wellbeing and report these concerns to parents on the same day. Endeavour to make contact with the parent. Accompany the child in the ambulance. Take a copy of all medical details including medication. Remain with the child until the parent arrives. Generally staff should not take pupils to hospital in their own car. If it is required then the member of staff should be accompanied by another adult and have public liability vehicle insurance. The school, healthcare professionals and parents/carers should agree, based on evidence, when an Individual Healthcare Plan would be inappropriate or disproportionate. Where there is a discrepancy an appropriate healthcare professional should be asked to arbitrate. Be written in partnership with parents, child, healthcare professional and key staff. Be reviewed annually or when there is a change in the condition of the child. Be easily accessible whilst preserving confidentiality. Securely stored by the Deputy Headteacher/SENCO. 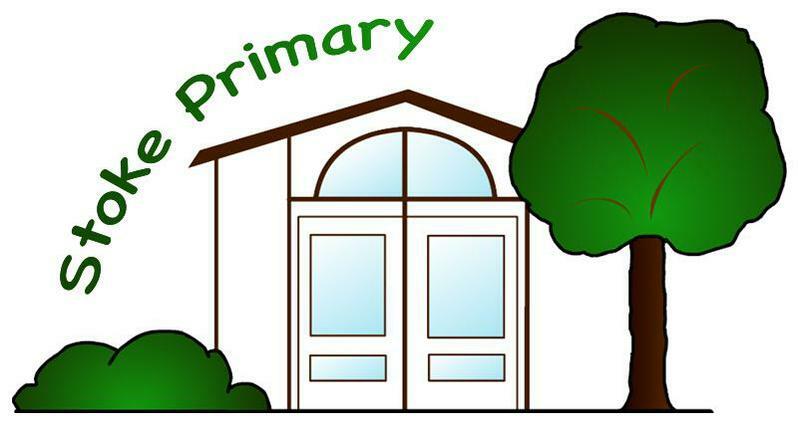 Outline educational provision if the child is unable to attend school. Contain details of the medical condition, its triggers, signs, symptoms and treatments. Provide details of the child’s resulting needs, including medication (dose, side-effects and storage) and other treatments, time, facilities, equipment, testing, access to food and drink where this is used to manage their condition, dietary requirements, modifications to buildings, furniture or equipment, and environmental issues e.g. crowded corridors, travel time between breaks and lessons. Outline specific support for the child’s educational, social and emotional needs – for example, how absences will be managed, changes to the school day and details of a personalised curriculum, requirements for extra time to complete exams, use of rest periods or additional support in catching up with lessons, counselling sessions etc. Outline the level of support needed, (some children will be able to take responsibility for their own health needs), including in emergencies. If a child is self-managing their medication, this should be clearly stated with appropriate arrangements for monitoring. State contingency plan and plan of action in the event of an emergency. Parents/carers’ concerns about the support provided for their child with a medical condition should be directed, in the first instance, to the Headteacher, Mrs Ann Marrs. Where parents/carers feel their concerns have not been addressed, they should contact Mr S. Quarterman, Chair of Governors to make a formal complaint via the school’s complaint procedure. Both school and parents should hold a copy or this Healthcare Plan. Please send a copy to the School Nurse to be put in the Child Health records. Any necessary revisions will be between the school and parents. Floppiness, collapse or deteriorating consciousness. (Dial 999). Tell the operator this is an emergency case of anaphylaxis. 3. If the adrenaline pen is used the child/young person must always go to hospital. Possible symptoms: (Please delete or add as appropriate as symptoms may vary). Healthcare professional or parent informs school of medical needs on admission, or if newly diagnosed, or that needs have changed. First Aid, SENCo and teachers to identify those children needing an Individual Healthcare Plan (IHCP) with a high level of medical need e.g. diabetes, severe allergic reaction (epi-pen users), and epilepsy. SENCo/DHT to co-ordinate IHCP through partnership meeting with parents, child, healthcare professionals, key staff as appropriate. IHCP implemented and circulated to all relevant staff. A copy of the IHCP can be found in a folder in the staff room and another kept securely by Deputy Headteacher. ICHPs are reviewed annually or when conditions changes. In summer term, letter is sent home to remind parents to make sure spare medicines (inhaler/epi-pens) kept in school are in date. Administering non-prescription medicines: written permission must be provided by parents/carers, and filed in the main Office; if a child is unwell, parental permission must be sought before administering pain relief. Record kept of all medicines administered by trained school staff. Parent/carers must collect all unused medicines for disposal. Risk assessments for school visits and activities off site include relevant medical information. All consent forms include a request for medical information. School staff training needs identified and actioned through Head teacher/DHT and school nurse. Collated information passed to SENCo to include within the SEN Code of Practice for circulation to all staff at the start of the academic year. Dial 999, ask for ambulance and be ready with the following information. Speak clearly and slowly and be ready to repeat information if asked. Inform Ambulance Control of the best entrance and state that the crew will be met and taken to patient. Ensure school records and IHCP on child are available to emergency team. Ensure parents are informed immediately and stay with child until parents arrive. If child goes to hospital take IHCP and pupil details with you. Take a mobile telephone. Are there any side effects that the school/setting needs to know about? The above information is, to the best of my knowledge, accurate at the time of writing and I give consent to school/setting staff administering medicine in accordance with the school/setting policy. I will inform the school/setting immediately, in writing, if there is any change in dosage or frequency of the medication or if the medicine is stopped. If staff have any concerns discuss this request with school healthcare professionals. I would like my son/daughter to keep his/her medicine on him/her for use as necessary.